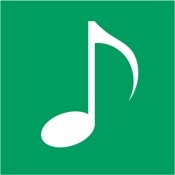 [prMac.com] Lanarkshire, United Kingdom - Independent developer, Gary Milligan is today excited to announce the release and immediate availability of Practice Makes Perfect v1.3, an iPhone application designed for music students who are learning an instrument, especially those working towards a graded exam. 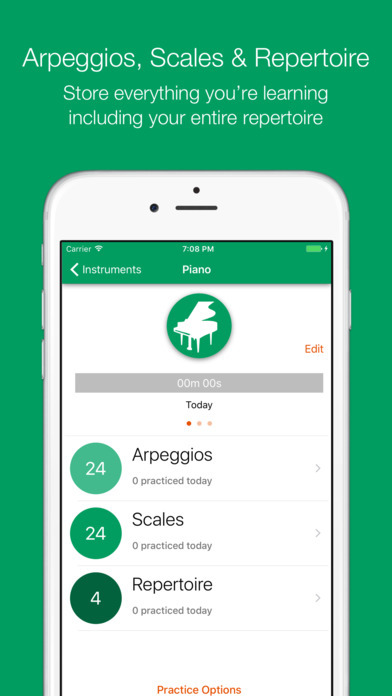 This app allows students to tailor their instrumental practice time by inputting the arpeggios, scales and musical pieces to create effective practice sessions. Inspired by the "put all your scales in a hat" method, Practice Makes Perfect was created so that music students could log what they had to practice and have a record of which elements needed more work. Once the student has entered their arpeggios, scales and musical pieces/exercises, they can create one or more practice sessions that focus on their current repertoire and arpeggio/scale lists. Random and custom practice options are available. During a practice session, the student is presented with an arpeggio, scale or piece. Once the student has completed their practice of this element, they can update the skill level (star rating) of that element before moving onto the next item in the session. The skill level element of the app allows users to build practice sessions that focus on their weakest areas - practicing these weak areas will help them become more proficient as a musician and help them prepare for graded exams. All practice sessions are timed, with stats available on the total time practiced that day, as well as the last 7 and 30 days. Version 1.3 adds notes to each practice item, an option to change the colour scheme, as well as sports an updated user interface to make the app cleaner and easier to use. Practice sessions are timed and stats for today, last 7 days and last 30 days. Random and custom practice options were also updated. Practice Makes Perfect 1.3 is $1.99 USD (or equivalent amount in other currencies) and available worldwide exclusively through the App Store in the Education category. For more information, please contact Gary Milligan. Based in Lanarkshire, Scotland, Gary Milligan works as full time iOS developer and enjoys developing his own apps as a hobby. Gary is currently taking piano lessons and this app was inspired by this experience. All Material and Software (C) Copyright 2017 Gary Milligan. All Rights Reserved. Apple, the Apple logo, iPhone, iPod and iPad are registered trademarks of Apple Inc. in the U.S. and/or other countries. Other trademarks and registered trademarks may be the property of their respective owners.